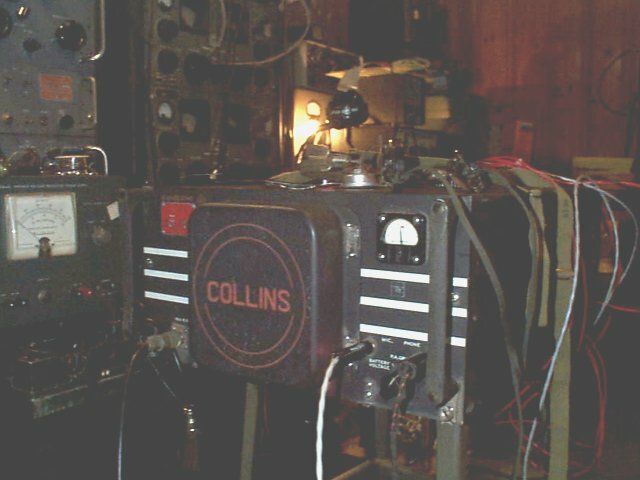 Gradually, the Collins 18S-4A is entering the shack. 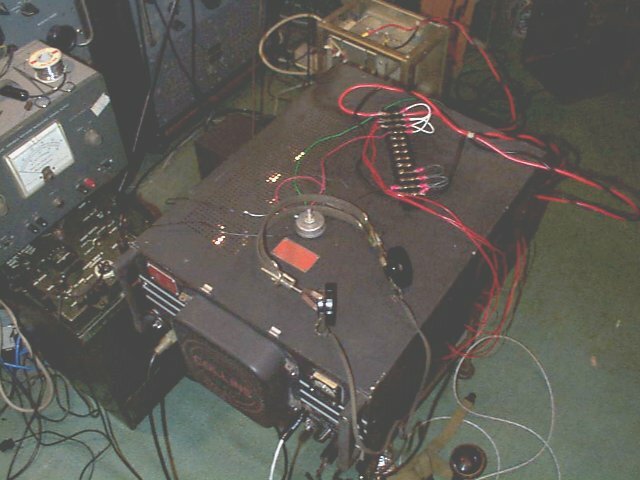 This channelized rig can export 100 watts to antennae. PA tuning is accomplished with "hard wired" taps to a series of tank circuit coils. On the left see the 18S-4 fired up on transmit. The glow in the back is a 200 watt lamp dummy load. The meter indicates half scale, or full power, as the selector switch below is in the PA PLATE position. The right hand photo reveals the rig from above. With a little imagination, you can see the 813 final modulated by two 811's glowing on the left side of the rig. This rig is 3885 ready - c u there! Next: More Mil Comm Gear - BC610!